We are in 2011. The important part of future telecom technology is occupied by the radio networks that gain more and more attention providing mobile internet access. 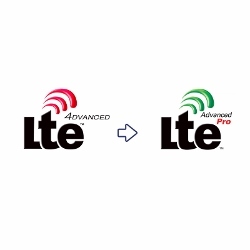 The wireless IP include both, the 3GPP based HSPA/LTE/LTE-Advanced cellular systems as well as the WiFi evolutions. In the early days of mobile communications, these two worlds were treated separately i.e. we had mobile networks for voice calls and SMS service, and DSL/WiFi serving as access to the internet. With the introduction of 3G we got the internet access over cellular / mobile. With the introduction of LTE and 4G LTE-Advanced we are moving towards ubiquitous mobile internet access. By this, I mean human-to-human (H2H), e.g. VoIP, human-to-machine (H2M) and machine-to-human (M2H, e.g. WWW and gaming) as well as machine-to-machine (M2M, e.g. smart metering) communications, where all the devices are accessing internet over cellular or fixed networks. Data rate increases, massive explosion of Machine-Type-Communication (MTC) devices and variety of applications put more and more requirements on overall network efficiency and proper system design. 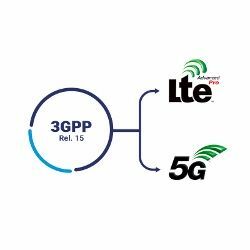 In this blog we would like to emphasize the importance of convergence of IP world and the so called “4G” systems. These should serve as a baseline for our discussions later on. Below there’s a short summary and selected challenges of each of the topic. Joint ventures of the operators to reduce costs of networks lead to shared networks at various levels, e.g. sharing sites, sharing Radio Access Networks (RAN) or sharing Core Networks (CN). As the networks evolve into very high capacity radios, it’s beneficial from the operator’s perspective to focus on differentiating / competing at the service level, instead of having its own sites to maintain and spending money for the OAM departments. Heterogeneous Network is a concept of having different network layers serving different purposes and built using different types of radio nodes. In such a network we have macro-layer (typical outdoor high power base stations), pico-layer (low power hotspot nodes) and femto-layer (home base stations to improve indoor capacity for end users). The small cells, are serving the purpose to deliver high capacity where it is needed. The examples of different challenges are: implementing an individual layer (e.g. delivering backhaul solutions and backhaul capacity dimensioning) and cross layer implementation (e.g. interference management). The main transition to reduce network costs is to introduce automation into the network operation also known as Self-Organizing Networks. Here, the concept of Self-Configuration, Self-Organization and Self-Healing comes with help. SON enables to switch the network operations from manual optimizations and maintanance to let the automated algorithms to take actions. It aims at long term as well as short term improvements in network performance and at reducing the operational and capital expenditures (OPEX and CAPEX). SON operates mainly in the radio network, but it is also very important in backhaul (IP) and core network (EPC), to e.g. balance load and avoid / decrease impact of network congestion / failures. SON is crucial for HetNet and Multi-RAT, because due to having several network layers it’s very hard to optimize and run all of them manually. Most of operators already have operating legacy networks (e.g. GSM, UMTS). On top of that they can introduce LTE and add WiFi for local internet access offloading. So having multiple RANs under operation it seems beneficial to provide interworking among them to utilize available radio resources efficiently and “on-line”. Especially that most of the mobile terminals have capabilities to work on multiple radios. Fixed-mobile convergence is a concept of delivering a seamless service to the end user independently of the underlying access technology. It includes fixed DSL lines, wireless LAN (WiFi) or cellular network (2G, 3G or 4G). From the NW operator perspective, FMC requires common platform / mechanisms for e.g. security provisioning (authentication and authorization), signaling interoperability (signaling exchange over various technologies to perform NW switch) and session maintenance (IP anchoring). From the definition, MTC is a concept of devices communicating with other devices or servers without any human intervention (i.e. there’s no need to physically push a “call” button to establish a connection with network). The typical examples are: gas / temperature meters, fleet management, car-to-car communications, etc. As there will be an enormous amount of these devices wanting to utilize the radio resources – a network congestion is a typical issue that the operator shall care about. Therefore, the standardization bodies put a lot of effort to address issues of controlling MTC and optimizing signaling scenarios. Having more and more requirements on delivering high capacity networks from one side, and decreasing network costs from the other side, one of the possibility to address that is to have a macro network (HSPA+, LTE / LTE-Advanced) for typical outdoor access and utilize already well-known unlicensed technology – WiFi, to offload local internet traffic in hotspot areas. That is a complement or competitive (depending on the business model) scenario to HetNet with the use of HSPA+/LTE pico / femto cells. 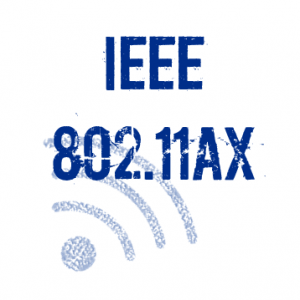 The current works in that area include solutions for mobility and security between 3GPP-based networks and WiFi. A critical issue for the new types of radio networks is the optimization and dimensioning of the backhaul solutions, as most of them uses IP, as the underlying technology. Not surprisingly, IP was chosen (among other reasons), because of its flexibility of architecture and well established automatic / adaptive mechanisms (routing algorithms) for self-management. This introductory article, shall serve as a baseline, underlining the current trends (as of 2011) in the field of mobile radio networks. With all of the above we are moving towards a: “multi-RAT, multi-layer, multi-operator, automated, converged” network that will support a large variety of services starting from the data hungry and ending with the signaling hungry. The main challenge is how to manage such a complicated creation. 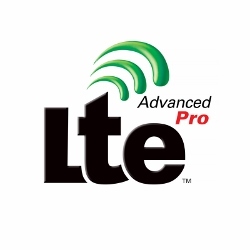 LTE-Advanced Pro – what is this?